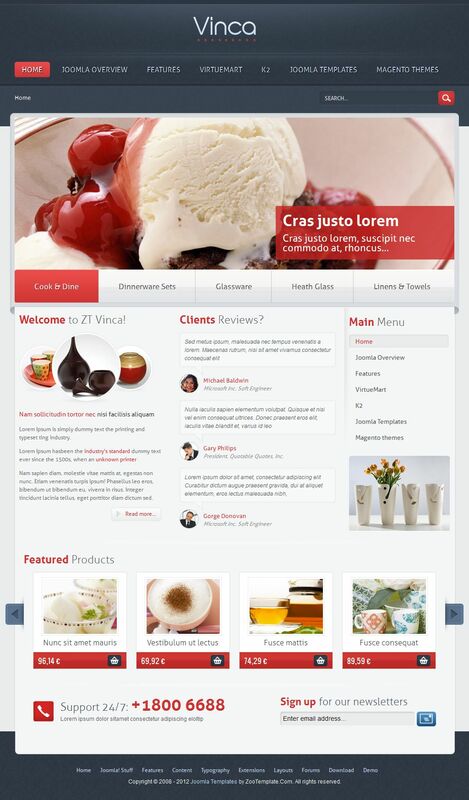 Popular studio ZooTemplate released another stylish template for Joomla 2.5 - ZT Vinca. The universality of this pattern is that it fully supports the K2 component and an online store based on Virtuemart, which in turn guarantees the creation of a site of any complexity. The presence of additional studio extensions ZT Headlines and ZT Virtue Mart Slideshow guarantee convenient display of goods and materials on the site. Classical structure template makes it easy to change the design and layout to give a unique look to any project.